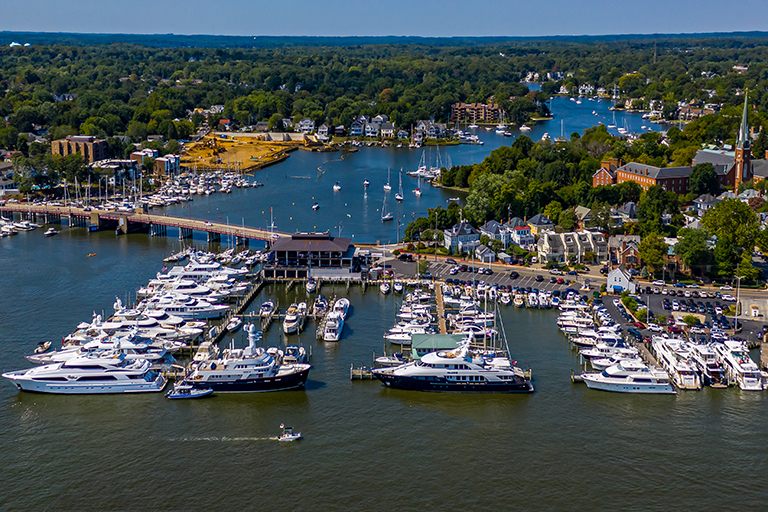 The Yacht Basin offers a large, modern facility in downtown Annapolis, MD. 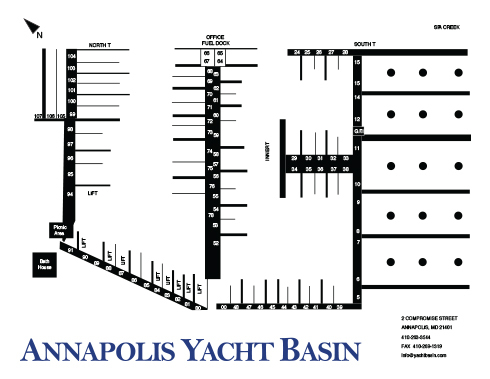 Our accommodations include over 100 fixed slips for vessels up to 140 feet. 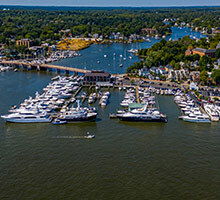 Three deep water face docks routinely welcome vessels up to 240 feet. And five high speed pumps deliver GULF brand name fuels year 'round. Clean, bright bath houses and a new laundry room, along with WiFi access, are just a few of the conveniences awaiting our guests.